Did you hear the news? Miracles from Heaven is available on Blu-ray and DVD tomorrow -- July 12th! We are so thrilled to see this flick, which stars the endearing Jennifer Garner and features a story that families can enjoy together. First, I challenge you to watch this trailer and try not to cry. I've seen it three time now, and I just can't! The movie, inspired by a true story, follows a sick little girl with little hope of survival. When a tragic accident almost takes her life, it proves that God works in ways we can't even hope to understand. A film that appears to have the right mix of great acting, suspense, drama, and love, I'm really looking forward to watching this for the first time. 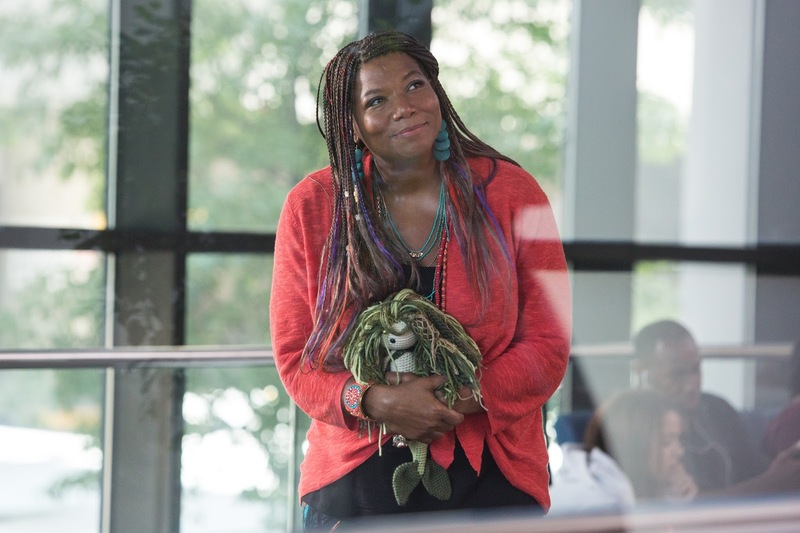 There is also a great performance by my favorite -- Queen Latifah! Bonus content on the MIRACLES FROM HEAVEN Blu-ray and DVD releases include two featurettes, as well as commentary. Join Jennifer Garner, Queen Latifah, their costars and crew for a behind the scenes look at the making of this very special film, in "Miracles Abound: The Making of Miracles From Heaven." Viewers will also meet the real-life Beam family and Dr. Nurko, learn about the casting of the film and the challenge of "the tree." Shot at the Beam family ranch in Burleson, TX, "Bearing Witness," features the Beam Family, their pastor, friends, first-responders and community as they gather around the tree and celebrate their faith and the miracles that brought them together. In the "Your Words" montage, experience some of the film's most touching and memorable moments set against Third Day's powerful rendition of the inspirational song. The Blu-ray release exclusively contains deleted scenes and the featurette "Accounts from Annabel," where Christy and Anna reflect together on their past, present, future, faith and bonding over the past four years since the incident. Purchase your copy of the DVD at Walmart! You can also follow the movie on the official social media channels: Facebook, Twitter, and the website! To be entered to win, just use the form below by July 20th at 11:59 pm EST. Open to U.S. residents 18+ only. *Prizing and gift received courtesy of Sony Pictures Home Entertainment. I would watch this with the entire family. I would watch this with my hubby. My husband and daughter would love to watch this with me! I would watch this movie with my son and daughter. We would love it! I would watch this with my granddaughters. I would watch this again with my daughter. We saw it in the theater and cried our eyes out. I would watch this movie with my sisters. I would take this video to our girlfriends' lake weekend! I would watch this with my son and nieces. I am a single mom so I would love to share this positive movie with my son and daughter. I so want to see this movie with my best friend. I'd watch it with my niece. I would watch this with my teenage daughter. I'd watch this with my mom. I would watch this with my family. I think we could all benefit from watching this emotional, inspirational movie. I would love to watch this movie with my sister. I'd watch this with my husband and kids. I would watch it with the whole family. I would watch the video at our annual girlfriend's weekend at the lake! I'd watch with my husband, my two girls, and our cat that stares at the T.V. when it is on. I would watch this movie with my mom. We both would love to see it! I would watch it with my youngest daughter and her kids. I watched this movie with my Hubby! I want to watch this with the grandkids, it is an awesome movie! Oh I would love to watch this with my family! We just saw commercials the other day and were saying it looks so good...we have to see it. This is a great film to watch with family! I would watch this movie with my daughter, Alyssa. I would love to see this film with my mom. I have a friend who would love watching this film. I would watch this with my daughter. This movie looks so inspirational and moving. I would watch this with some of my grandchildren. I would love to see this movie with my husband and all four of my children! They are about the same age as the children in the movie and I think it would help them to understand life and faith a little bit more! I'd watch this movie with my grand kids! I would watch this with my best friend. I would love to watch this movie with my sister! I'd love to watch this with my aunt a Breast cancer survivor. 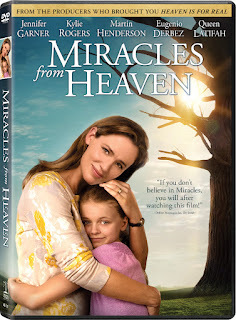 I would watch Miracles in Heaven with my family. I would watch this with my mom. Love to watch with my family! I'd like to watch this movie with my 22 yoa daughter. Thanks. I'd love to watch this with my kids! I would watch this with my kiddos and sister 😊! I would watch this with my husband and daughter on our family movie night. This is a great wholesome type movie to remind everyone just how much we have to be thankful for. I'll watch it with my mom. I would watch this great movie with my Mom and the rest of my family. I would watch this with my husband and 4 children.